Attorney Shari Lynn Vannieuwenhoven has worked extensively with residents of Northeastern Wisconsin to secure their financial freedom through filing Chapter 7 and Chapter 13 bankruptcies. She also advocates and represents disabled clients in their Social Security disability claims. Attorney Shari Lynn gained experience as a Bankruptcy Attorney at a prominent consumer bankruptcy law firm while residing in Fort Worth, Texas. After moving to Wisconsin, she represented clients on Social Security Disability Insurance and Supplemental Security Income Claims in Northeastern Wisconsin. In her spare time, she enjoys reading, traveling and camping with her two children..
Attorney Shari Lynn earned her J.D. in 2009 from Texas Wesleyan University School of Law in Fort Worth, Texas. Prior to law school, she received her Bachelors in Business Administration from Stephen F. Austin State University. 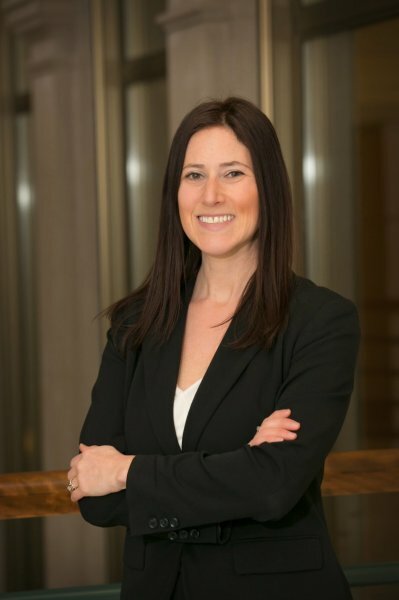 Attorney Shari Lynn is a member of the State Bar of Texas, the State Bar of Wisconsin and admitted to practice in the Eastern District of Wisconsin. She is also a member of the Bankruptcy, Insolvency & Creditors Rights Section.